During a visit to Albania, Pope Francis condemned Islamic extremists using religion to justify acts of violence. The pope delivered his message of peace and the use of religion as a way to unite people during meetings with religious leaders and the president and other Albanian officials. "The climate of respect and mutual trust between Catholics, Orthodox and Muslims is a precious gift to the country. This is especially the case in these times where an authentic religious spirit is being perverted and where religious differences are being distorted and instrumentalized. This creates dangerous circumstances, which lead to conflict and violence, rather than being an occasion for open and respectful dialogue and for a collective reflection on what it means to believe in God and to follow his laws," Francis said in a speech to diplomats. 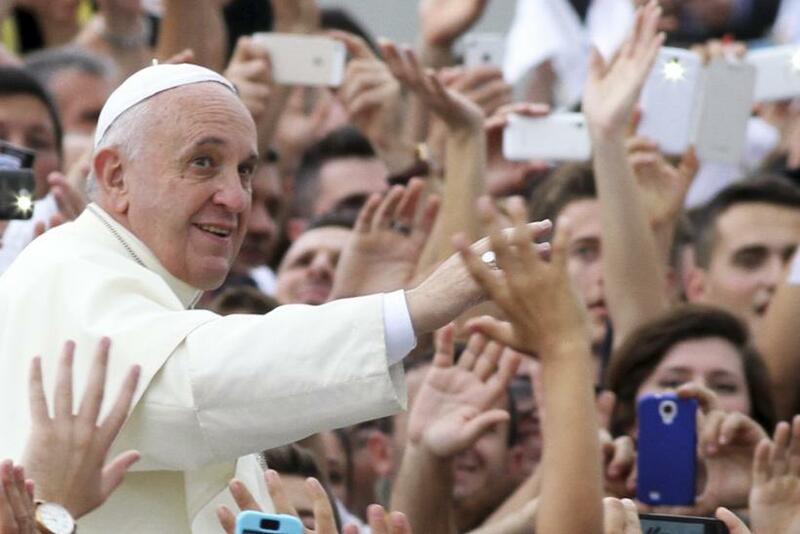 Security was heightened for the pope's visit although there were no specific threats, the Associated Press reported. Security was increased at the Vatican after intelligence officers intercepted a threat against the pope and the Roman Catholic Church. Noticeable signs the pope's visit to Albania was different than other papal visits include no impromptu stops and a quick exit after mass, the AP said. Snipers were seen on rooftops along the pope's route while helicopters patrolled the area. In a second speech, delivered to religious leaders, the pope condemned violence in the name of religion. "No one must use the name of God to commit violence! To kill in the name of God is a grave sacrilege. To discriminate in the name of God is inhuman," he said.